Please ask at the Circulation Desk if you need assistance with ILL.
How do I ask for items? Journals: Search "Find It @ Earlham Libraries"
you can log into ILLiad and create a new request. What is Interlibrary Loan (ILL), and ILLiad? ILL helps Earlham, ESR, and Bethany community members gain access to materials owned by other libraries that are not otherwise held on campus. ILL service is provided free of charge to all students, faculty and staff of Earlham, Bethany, and ESR, as long as materials are returned on time and in the condition they were received. Library patrons not currently enrolled or employed at the College, ESR, or Bethany are not eligible to use Earlham’s ILL services. Use your Earlham username (your email address, without the '@earlham.edu') and password to log in. New users must fill out a registration form in ILLiad (a one-time task). Once this is done, ILLiad will remember your contact information for future requests. Once you are logged in, you will see navigation menus on the left side of your screen. Use the buttons provided to create a new request (click on the type of item you wish to request), view different aspects of your account (request renewals, check request status, retrieve articles delivered electronically), and update personal information. If you have questions, please see a reference librarian or ILL staff member for assistance. How long does ILL take? How many items can I request? Can I request textbooks through ILL? Why am I not getting emails about my ILL materials? How do I request an item through PALShare? What happens when my materials arrive? Difference between Document Delivery and ILL? Is ILL different for ESR/Bethany Students living at a distance from campus? What happens if materials are overdue, lost, or damaged? Why can’t I create new requests? Can ILL materials be placed on reserve? It typically takes 2-4 business days to receive an article and about 6-7 days for a book or other loan. However, the time needed to fill a request depends upon several factors, including the difficulty of the request, the location and policies of the lending library, and the volume of requests received. Hard to find items may take as long as several weeks to arrive. ILL is typically slower during certain times of the academic year, including breaks, mid-terms, and final exams. Please take this factor into account when planning for research projects. You may have up to 15 active requests at any one time. Once a book request has been placed, it remains active until it is returned to the lending library. An article request remains active until the article has been received by you. If you know in advance that you will require more than 15 items at one time, please consult a librarian, who will be happy to help you explore other options. Placing a request does not guarantee that an item can be obtained. Several factors, such as the policies of the lending library, the rareness of an item, and copyright restrictions can prevent us from fulfilling a request. * If Earlham’s copy of an item is lost or missing, it may be possible to request the item through ILL. While the ILL department will attempt to fill requests for textbooks/required course readings, we recommend against borrowing these items through interlibrary loan for a number of reasons. Please note that we will not fill requests for textbooks that are available in the library collection, or for items that are already on reserve. It is difficult to borrow textbooks through ILL. Few libraries purchase textbooks and even fewer have the most recent editions. Because of this, the edition that you need may not be available. When libraries do purchase textbooks, they usually keep them for use on their campus and do not lend them to other libraries. If you do get a textbook through ILL, you will not be able to keep the book for the whole semester. Due dates are set by the lending library and loans are typically 3-6 weeks long. ILL materials may only be renewed once. Additionally, ILL books are subject to immediate recall, so you could have to give the book back at any time. We recommend buying or renting your textbooks when possible. You can also ask your instructor to place a copy on reserve in Lilly Library or the Science and Technology Commons. PLEASE NOTE:Online access codes cannot be provided through ILL. If you request a textbook through ILL that has an access code, you may get the book, but the code will be removed/disabled. This is because the codes are restricted to 1 user per code. Since multiple users can't use the online code, libraries cannot use this information or loan it through ILL. If you need an online access code for your textbook, you will have to purchase it. ILL users receive several types of emails, including notices when items are available for pickup, due date reminders, and overdue notices. If you have requested materials through ILL and are not receiving emails, these may be getting caught in your spam filters. This problem occurs most frequently with Gmail. These emails can be viewed from your ILL account. Once you have logged in to ILLiad, click on Notifications under the View menu at the left side of the screen to see your most recent messages. 1. Open your Contacts list by clicking Gmail in the top-left corner of your Gmail page, then choose Contacts. If you're a Google Apps user, click Mail and then Contacts. Contacts are also available at www.google.com/contacts. 2. In the top-left corner, click New Contact. 3. Enter ILL@earlham.edu in the appropriate fields. Any information you add will save automatically. Note: These instructions only work with the standard view of Gmail. If they don't match what you see, upgrade to a supported browser or go to the standard view by clicking standard at the bottom of your Gmail page. The circulation time for books and other items is dependent upon the policy of the lending library, but typically ranges from 4-6 weeks. Articles are delivered electronically and may be kept. Some items may be loaned with additional restrictions, such as for use inside the library only, or without the option of renewal. Please see the Renewals section, below, for more information about renewals. If you know in advance that you will require materials for a period longer than 4-6 weeks, please consult with a librarian. Please see the ILL renewal instructions document linked above for details on how to renew your ILL requests in ILLiad. Approval for renewal depends upon the policy of the library that owns the item. We cannot renew ILL items without the other library’s permission. Renewal requests should be submitted at least three days before the item is due. This will give you a chance to return an item on time, even in the event that the lender is unwilling to renew it. ILL staff sends due date reminder emails three days prior to the due date. If you will still need an item after its due date, and the item cannot be renewed, it is sometimes possible to obtain the item again, from a different library. Log into ILLiad to request renewal of items borrowed through ILL. Renewal requests can also be submitted by email to ill@earlham.edu, or by visiting the ILL office in Lilly Library. PALShare is a service provided through Earlham's membership in PALNI, the Private Academic Library Network of Indiana, comprised of 23 libraries throughout the state. Currently, registered students, faculty, and staff from all 23 schools have the ability to check out materials from any of the 22 other schools. If Earlham doesn't own an item, but another PALNI school does, you can now request a hold on the item from the library catalog and have it delivered to Earlham. Items will be ready for pick up at your local library in approximately 5 business days. You may only request physical books and media items from PALShare (no articles or electronic materials). How is PALShare different than ILL? Transit time: Because items only come from Indiana libraries, books may come faster than ILL. Manage your items: PALShare items are listed in your regular library account. You don't need to use ILLiad. Labels: PALShare items are marked with a sticker on the cover. Please do not remove this sticker; it is needed for processing when you return the item. How is PALShare the same as ILL? Pick up location: Materials are still picked up and dropped off at the Lilly Library Circulation Desk. Details for placing requests can be found below in our FAQ section. Is PALShare better than ILL? Is ILL better than PALShare? This is a personal preference. Speed of service should be similar, unless ILL materials come from another state/country. Try out both services, and let us know what you think. After you have done a search in WorldCat Local, if your library does not own the item, but another PALNI library does, you can request it via PALShare. Start by clicking on the title of the item you'd like to request. 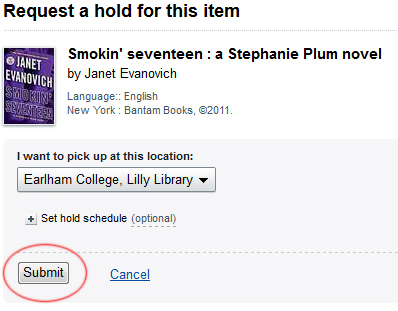 Then, look for the button that says "Request PALNI item." Login to your account, and click the Submit button on the next screen. Unless you get an error message, the hold has been placed, and should be available at your local library in approximately 5 business days.You will receive an e-mail when the item is available for pickup. Books will be loaned for 60 days and media items will be loaned for 14. Items cannot be renewed. Please speak with a librarian if you have any issues or receive an error message while using this new beta service. You will be notified by email when your ILL materials arrive. Books should be picked up at the Lilly Library circulation desk or the ILL window. If an article you requested is not attached to the notification email you receive, you can retrieve it online by logging into your ILLiad account and selecting Electronically Received Articles from the menu on the left. Document Delivery provides access to materials that are part of Earlham’s collection, whereas ILL is for materials that must be obtained from other libraries. Remote students submit requests for Earlham materials in the same manner as requests for regular ILL materials, via the ILLiad interface. For more information about Document Delivery services, please visit Earlham’s Document Delivery web page. Seminary students living at a significant distance from campus (50 miles or more) are welcome to request articles from other libraries through ILL at Earlham, using ILLiad. When the requested articles arrive, they will be delivered electronically to the student’s ILLiad account or to their email address. Although we cannot deliver other libraries’ books and media (such as DVDs) to Access and Connections students’ homes*, we are happy to send books from Earlham's own library collections through Document Delivery. Additional information on can be found on Earlham School of Religion & Bethany Theological Seminary: Document Delivery web page. * Books and media items may be requested via ILL from your local library. ILL is a process that depends on reciprocity. It is very important for Earlham to return ILL materials on time to the institutions that have shared them with us. All libraries reserve the right to deny ILL privileges to institutions that do not return materials on time and in good condition. Please pay close attention to the due dates printed on your ILL items. You can also view any active due dates by logging into ILLiad. As stated above, loan periods often vary from one item to the next and not all ILL items are eligible for renewal. Please see the relevant section above for more information. Due date reminder emails are sent 7 days prior to the due date, followed by additional notification emails for items not returned on time. Patrons whose ILL books are lost or damaged will be responsible for the payment of replacement costs, repair costs, and any related fees that may be charged by the lending library. 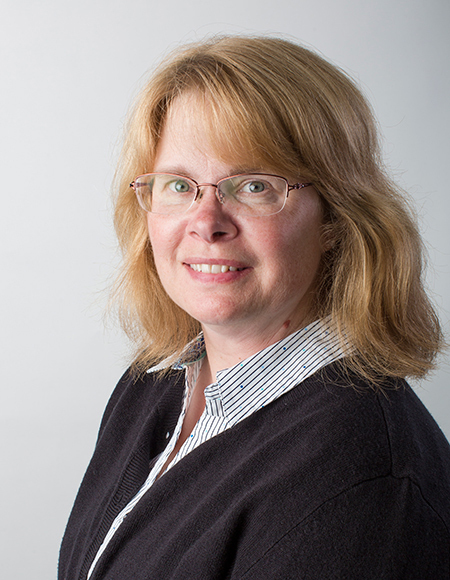 These policies apply equally to all faculty, staff, and students of Earlham, Bethany, and ESR. If you tried to create a new request in ILLiad and were not able to, you may see a message at the top of the screen stating "You have been blocked and cannot submit any new requests." Users are still able to monitor outstanding requests and receive materials that are in process, but they are not able to create new requests. Once you return the overdue item(s), the block will be automatically removed from your account and you will be able to create new ILL requests. If you are sure that you have lost the item, please visit the ILL window to begin the replacement billing process and remove the block from your account. *Interlibrary Loan operations depend upon the good will of other libraries who are willing to lend us their materials. When we don’t return materials promptly, this impacts our relationships with other libraries and their willingness to lend us materials in the future. Please help us by returning your materials promptly. **If you are not receiving due date reminders and overdue notices, please see the FAQ tab "Why am I not getting emails about my ILL materials?" for more assistance. Materials owned by other libraries may not be placed on reserve. Please talk to a librarian if you would like a copy of something you have obtained through ILL ordered for the Earlham College Library collection and placed on reserve for one of your courses. Additional ILL Staff Review Required: The request requires extra time to process. This can happen for a number of reasons, e.g. if the patron requested a rare item, if the request form was not filled out adequately, etc. Article Delivered Electronically: The item has been received and is available for viewing or downloading in your Electronically Received Articles list. Articles remain available for 30 days. Awaiting Copyright Clearance: ILL is reviewing your request to determine the item’s copyright status. Awaiting Direct Request Sending: ILLiad is automatically processing your loan request. If the system cannot find sufficient lending libraries for your request, it will be routed to Awaiting Processing by ILL Staff for review. Awaiting Electronic Delivery: The article/scan has been sent and is awaiting ILL staff review and shipment to the patron. Awaiting Lender Review: Your request has been sent to potential lending libraries. ILL is waiting for responses from these libraries indicating if they will fill your request. Awaiting Processing by ILL Staff: Your request has been submitted to ILL. ILL staff will review your request for any problems and submit it to potential lending libraries. Requests are processed in the order in which they are received. Cancelled by Customer: You have cancelled the request. Cancelled requests can be found and resubmitted at a later time at View Cancelled Requests. Cancelled by ILL Staff: ILL has cancelled your request and informed you of the reason for the cancellation by email, e.g. it was a duplicate request, the item is held by Earlham, etc. Checked Out to Customer: The item has been checked out to the patron. Cloned to New Request: When a request is returned unfilled, ILL staff often creates a new request for the same item and submits it to new potential lending libraries. The original request is then routed to a status of Cloned to New Request. You should see a new request for the same item in your Outstanding Requests list. In transit to Circulation: The item has arrived at Lilly Library and is in processing. You will receive an email notifying you that the item is available for pick up at the circulation desk soon. Item Returned: The item was returned to the Lilly Library circulation desk and is awaiting final check in by the ILL staff. Item Checked In: The loan has been checked in by ILL staff and is being returned to the lender. Lender Requested More Information: A potential lending library has responded to the request and asked ILL to clarify part of the request or to comply with special conditions before they will lend the item, e.g. specifying a volume in a set, agreeing to in-library use only, accepting special shipping requirements for rare or fragile items. Sometimes we need to contact a patron for more information, other times we handle conditions internally. Request Finished: The loan item has been checked back in and returned to the lending library or 30 days have lapsed since an article was delivered electronically. Request in Processing: Your request is actively being processed by ILL staff. Unfilled Request in Review by ILL Staff: Your request has been sent to potential lending libraries. However, these libraries have been unable to fill your request. ILL is trying other sources. This process may take several days. If the status you are looking for is not listed, please contact the ILL office at ill@earlham.edu or call 765-983-1241 for more information.